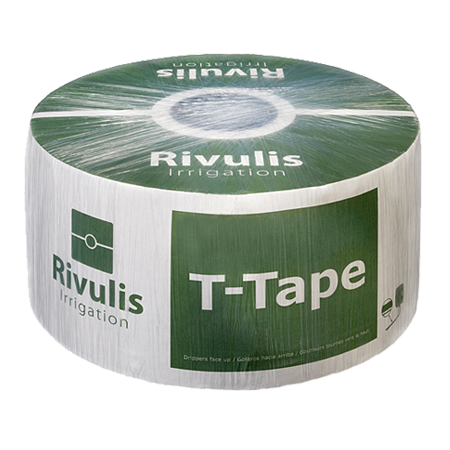 The Rivulis T-Tape drip tape is one of the most well-known and trusted brands in its class in the world. T-Tape is used for growing different crops around the world. It can reduce water consumption and improve the quality of your harvest. The T-Tape drip tape, with slit-like waterproofing, has become a star in the sales of irrigation tapes. It has proven itself as a standard of quality, retaining its current position. a wide selection of water drains allows one to select a tape with allowance for the crop and specific parameters of the water source. High material strength standards, design and quality of manufacture of T-Tape tapes enable people to rely on their durability for many years.